Three days after a strenuous nine-mile hike, 76-year-old Roe Southerland found himself in Fort Sanders Regional Medical Center’s cardiac care unit wondering if he’d ever hike again. That was before he met fellow hiker Jennifer Reagan, an exercise physiologist at Fort Sanders Regional’s cardiac rehabilitation program. It was there that Reagan and other therapists developed an exercise regimen aimed at returning him to the trails. Virgin Falls is a scenic 8.3-mile trail with three waterfalls near Sparta, Tennessee, and was the last trail Southerland hiked before a 99-percent blockage in his left anterior descending artery resulted in his “widowmaker” heart attack three days later. The otherwise healthy Southerland was weak, but had three stents in his chest and was eager to enroll in the 12-week, 36-session cardiac rehab program. Less than a month later, he attended his first rehab session at Fort Sanders Regional. “He would do five minutes on the treadmill at a certain speed and incline, and then we’d increase the incline from there so that he wasn’t just staying level,” said Reagan. “It kind of simulated climbing a mountain and then coming back down. 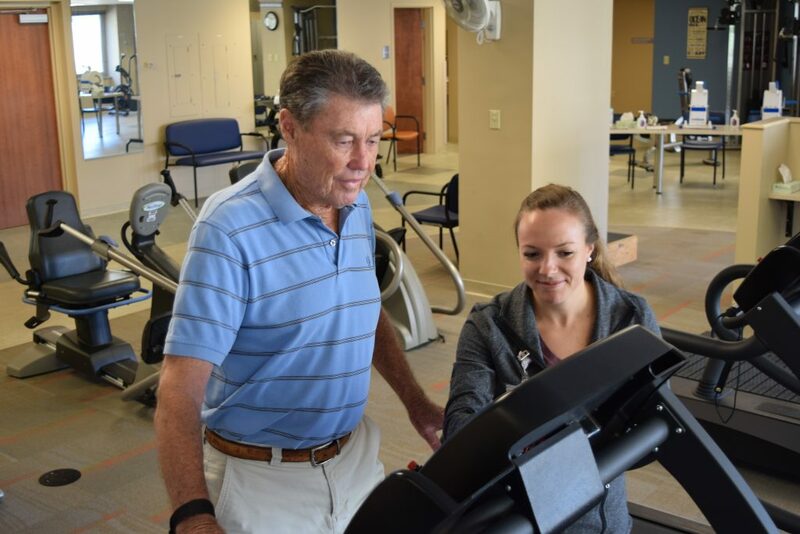 For more information about the Fort Sanders Cardiac Rehabilitation Outpatient Program, please call (865) 331-1250.